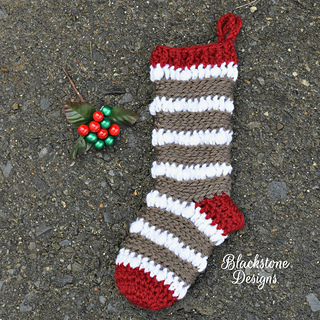 This stocking features fun puff stitches and faux knits. 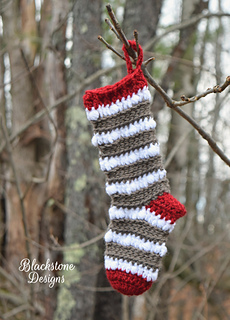 Make in any size and easily adjust it to your gift giving needs! Instructions for 3 sizes included.